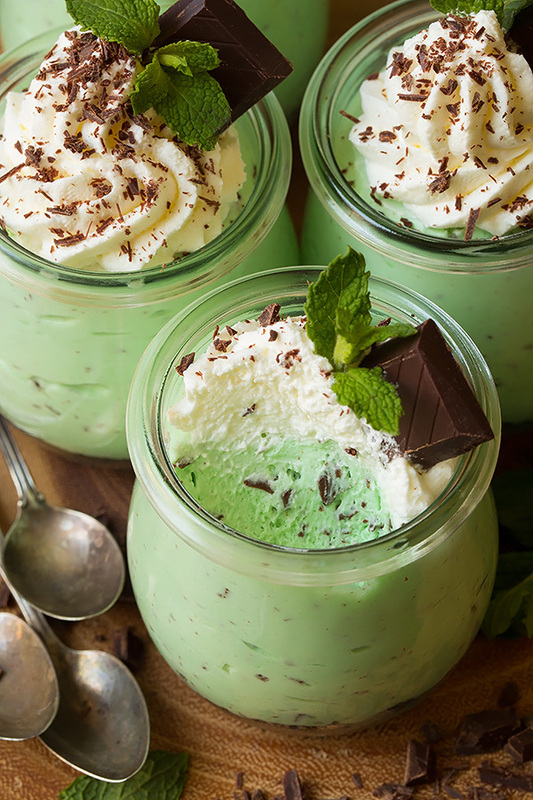 Why Wait For Thin Mints When You Can Make Mint Chip Mousse Instead? You remember those days of ordering boxes of Girl Scout cookies to be delivered to your doorstep? 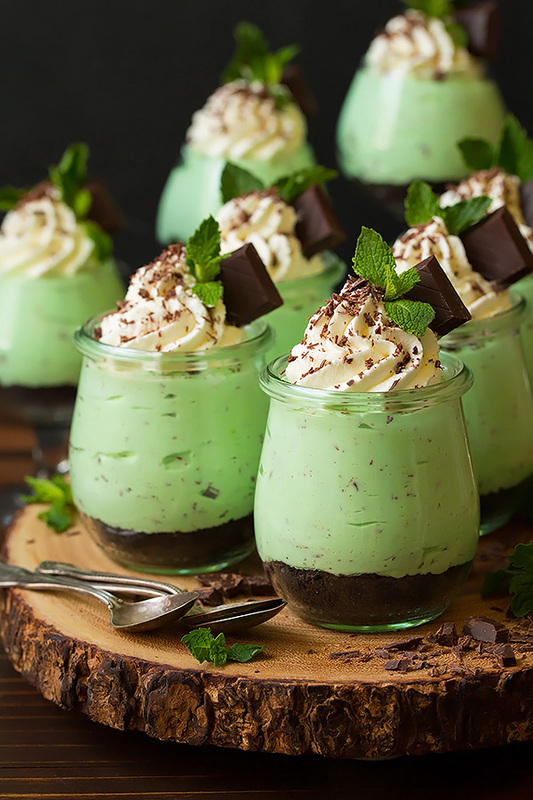 Those thin chocolate cookies with the just the perfect hint of mint have been a household favorite for years, but now, thanks to this recipe we’ve found, you no longer need to wait for those girls in uniform to come knocking. 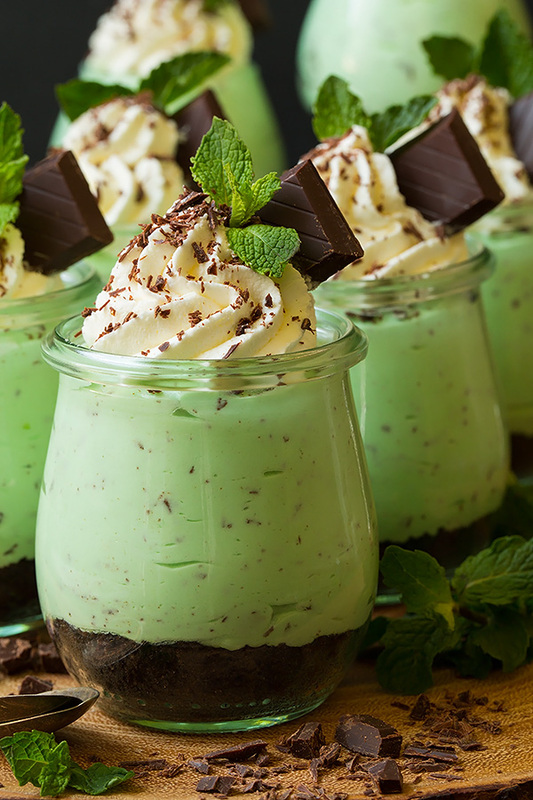 Grab your prettiest dessert glasses and meet us in the kitchen! To start things off, stir together your crushed cookies and butter, then divide that amongst 8 small dessert cups, pressing it into an even layer. In a separate bowl, add your water and sprinkle the gelatin over the top and allow it to rest for 5-10 minutes. In another mixing bowl, whip your heavy cream until soft peaks form and add ¼ cup of the powdered sugar until the peaks become stiff, then set aside for later. In yet another bowl, use a hand mixer to combine your cream cheese and the remaining 1 ¼ cups of powdered sugar until it becomes smooth. Then add your mint and peppermint extract as well as about 8 drops of yellow food coloring and 16 drops of green, then set that aside as well. Go back to your gelatin mixture and microwave that on high for 30 seconds and then whisk until it’s fully dissolved. This should cool for just 2 or 3 minutes before you pour it into your cream cheese mixture and blend immediately until fully incorporated. Add your whipped cream into this and and finally, your chopped chocolate. Fold these all together and then pour into a piping bag to layer over your Oreo cookie crusts. 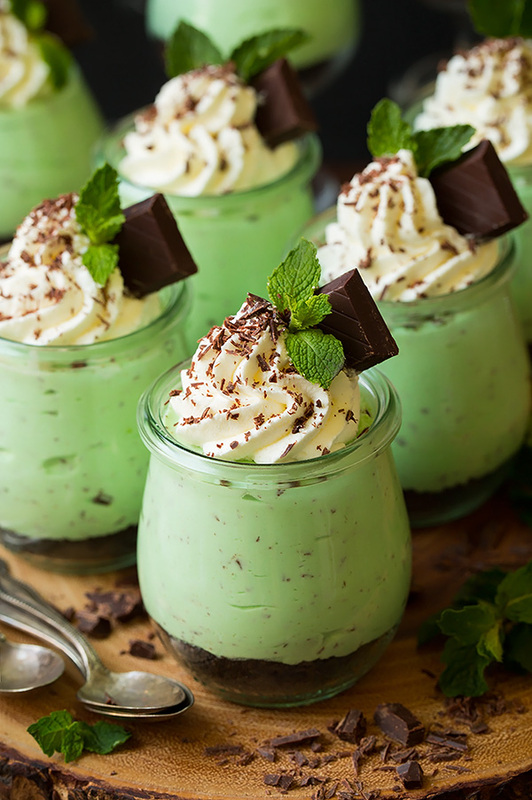 Leave these to chill for about 3 hours and then serve with a sprig of fresh mint and a bit more shaved chocolate and a dollop of your sweetened whip cream. We only wish we could order boxes of this stuff!